Start here to learn how to develop intuition.  Many people have gone to a psychic for a reading in their lifetime, but how many people are actually psychic themselves? Is it possible to develop your “sixth sense”? You’d be surprised! Some folks are already incredibly psychically aware, but do not recognize it. There are many forms that psychic messages can take. Clairvoyance is the most well-known, and is the ability to “see” in your mind’s eye. Clairaudience is hearing messages, clairsentience is feeling messages, and so on. Each of these forms is a different way that information is conveyed to a person psychically. Have you ever felt something brush against you that wasn’t there? Heard someone call your name but no one was to be found? It’s quite possible that your psychic abilities are already strong. How can we go about raising our vibrations and developing our intuition, you ask? Well, practice makes perfect. There are some easy exercises you can use to develop your psychic abilities, but they require commitment. First and foremost, meditate! As simple as it sounds, clearing your mind and spending time with yourself being present in the moment will raise your energy and allow messages to come through. If you don’t know how to meditate, it’s an easy process, but like psychic development, it also takes practice. Set aside some time for yourself, make sure you’re in a peaceful environment, and close your eyes. It’s recommended to sit rather than lie down. Focus on your breathing, and notice your breath entering and leaving your physical body. Use this focus to clear your mind of other things. Repeating a mantra also helps. A mantra is a word, or simple phrase that you repeat either out loud, or in your mind to maintain your focus. While meditating, sometimes unconscious thoughts will come into your mind. Take note of them, and do not attempt to control these thoughts. Allow them to play across your mind as though it were a movie screen. Once you’ve finished meditating, write these thoughts in a journal. Review your journal on occasion, and you may note that some of the thoughts that came into your mind without your input were messages or premonitions. Aside from meditating, actual practice in using your intuition is necessary. One simple method of testing your intuition uses a deck of playing cards. Shuffle the deck, and try to guess which color of card (black or red) you will pull next from the deck. As you practice, you’ll begin to notice what the feeling of receiving psychic information feels like. Keep track of your scores as you practice. If you’re guessing the correct color more than 50% of the time, you’re beating the odds, and it’s probably not just a guess.  If you haven’t received psychic information before, fear not! It takes some people years of practice. Through consistent practice, you’ll notice that you may have one method of receiving psychic information that works better for you. This is your psychic strength. Some souls are destined to have stronger psychic intuition than others, but everyone is able to improve their abilities if they’re open to it.